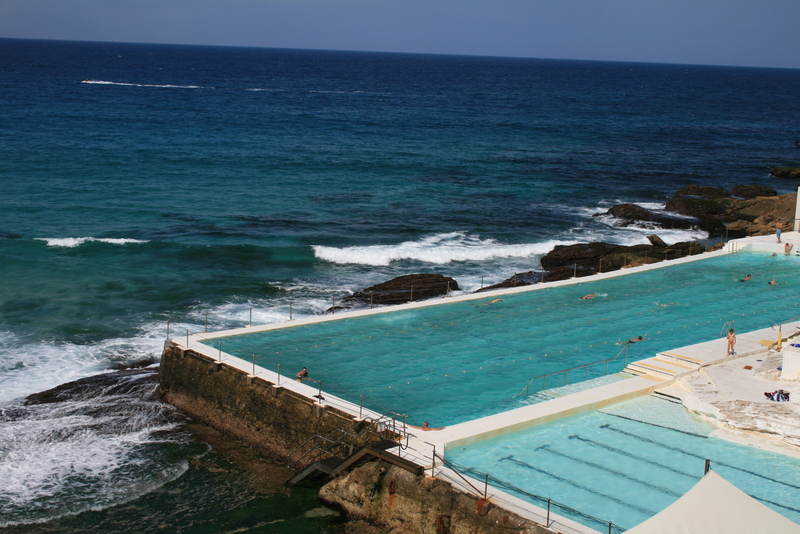 So, there are only two more posts left in the 10-Days-Special on Australia and this is the first of them: I want to tell you about the beauty of Sydney’s beaches and walks: the Coastal Walk from Bondi to Coogee Beach in Southern Sydney. The walk starts at Bondi Beach. Now many people name it the beach to go when in Sydney. It’s a surfer’s beach, a backpacker’s beach. I’d say, it is just crowded and not very exciting plus the promenade area is not too nice too. But it makes a good starting point for the Coastal Walk. When facing the beach, you walk along it turning right (South that is) and following the street until you pass the swimming pool and the street turns into a path. The swimming pool looks so cool and I understand that swimming laps is only really possible in a pool but yet I find a pool, bordering the sea a bit weird (maybe you remember, I had that same feeling on Koh Phangan). No you following the way around the cliffs. 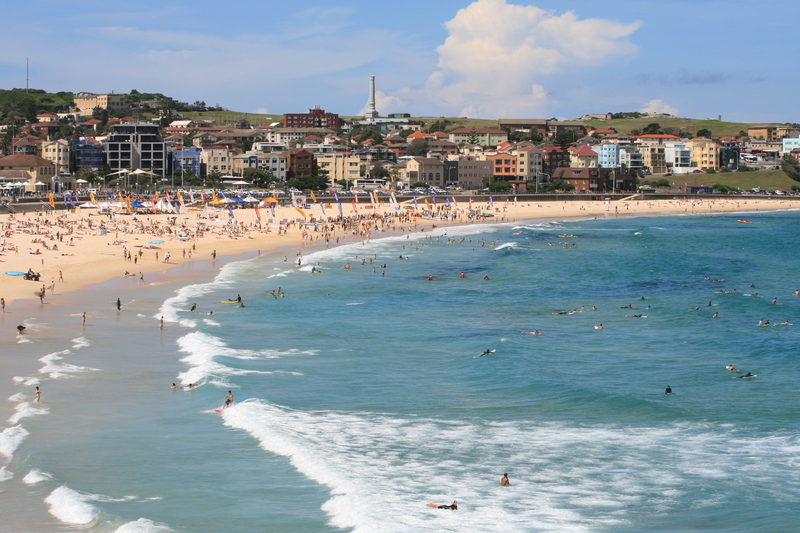 You get great look outs on the sea, back to Bondi Beach and later, after you passed the cliff looks to Tamarama Beach and Bronte Beach. Here you can see, especially in winter, dolphins in the water. Some even seeming to play with surfers. 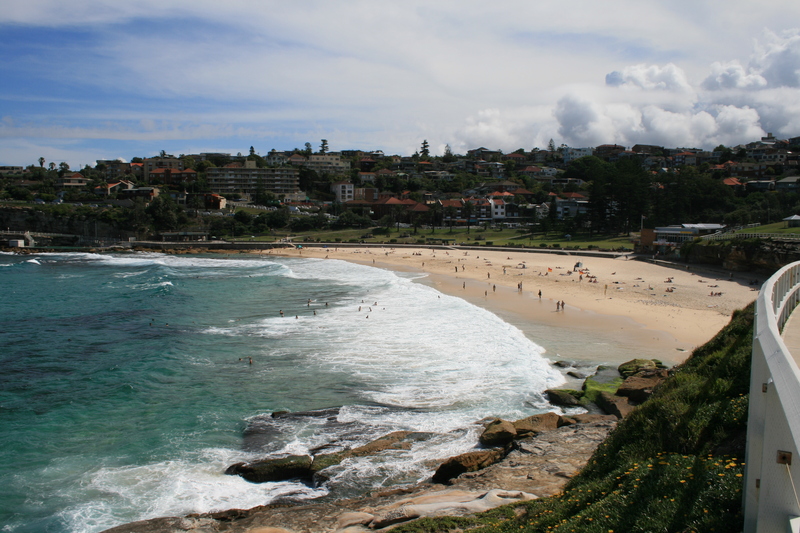 Passing Tamarama beach, the walk goes a bit up and down but finally you’ll arrive at Bronte Beach. It is so much nicer and quieter than on Bondi, it is amazing that the other beach is just around the corner. For the lazy of you, you could stop here and have some nice lunch or dinner before taking the bus back to the city. 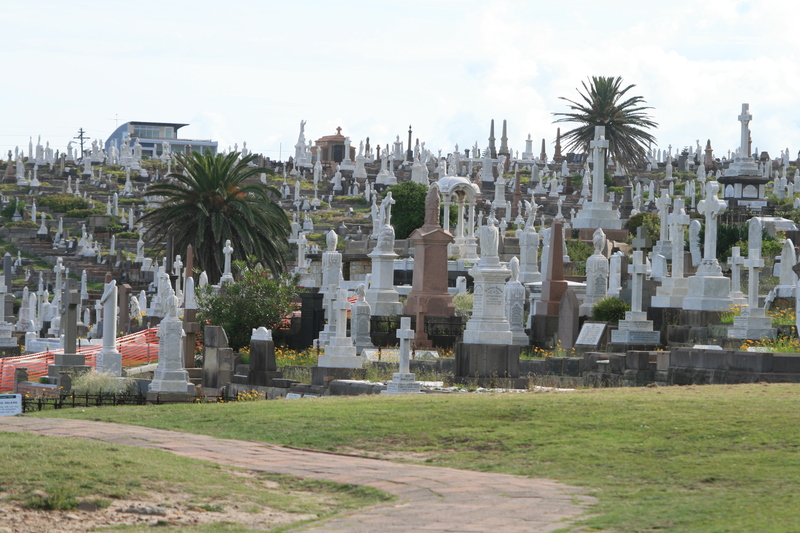 After walking through the cemetery, you reach Coogee which is also a nice beach but I think it lacks the imtimacy of Bronte Beach. From here you can either walk back to Bronte or take the bus directly from here, depending on your eagerness to walk some more and the time of the day (I woulnd’t recommend to walk the path, as good as it is, at night). After nine parts on Australia so far, look out for the tenth part tomorrow, which will be a wrap up on Sydney. 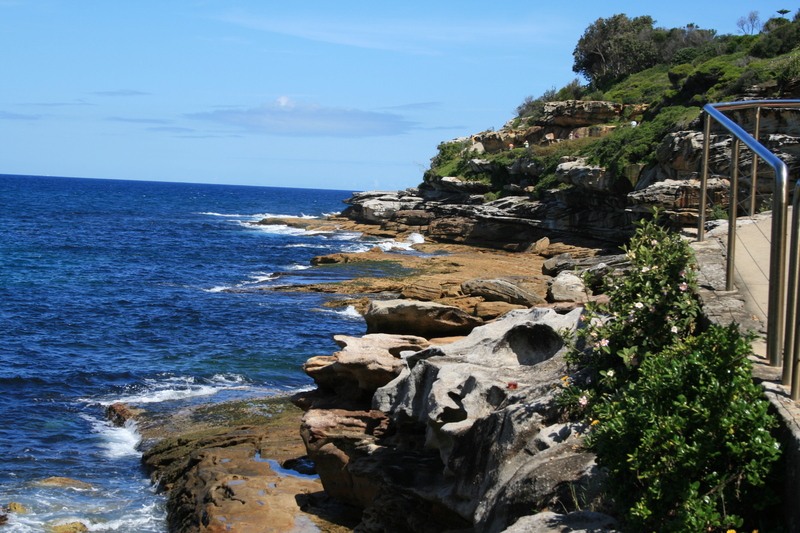 This entry was posted in Australia and tagged Beach, Coast, Nature, Sydney, Walk by kathatravelling. Bookmark the permalink.